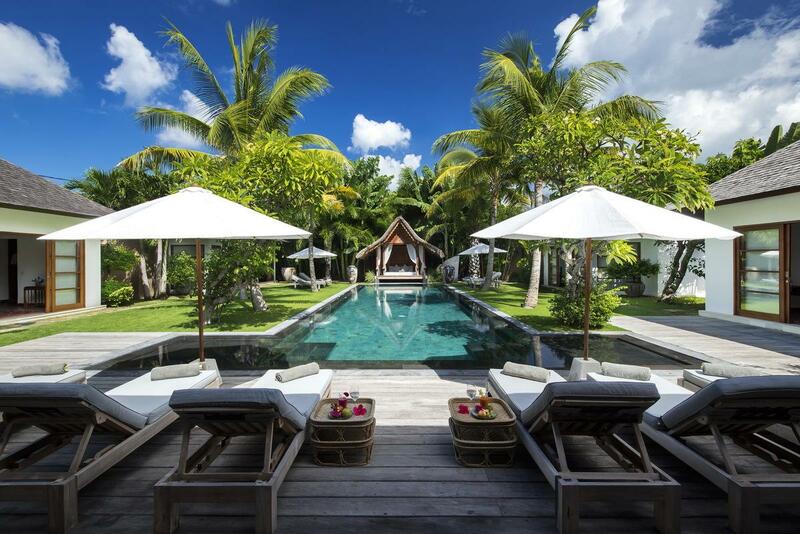 Villa 3342 is a family-styled villa resort designed to introduce travellers to the joys of tropical living. The complex features 12 distinctive villa compounds with a choice of one, two or six bedrooms. 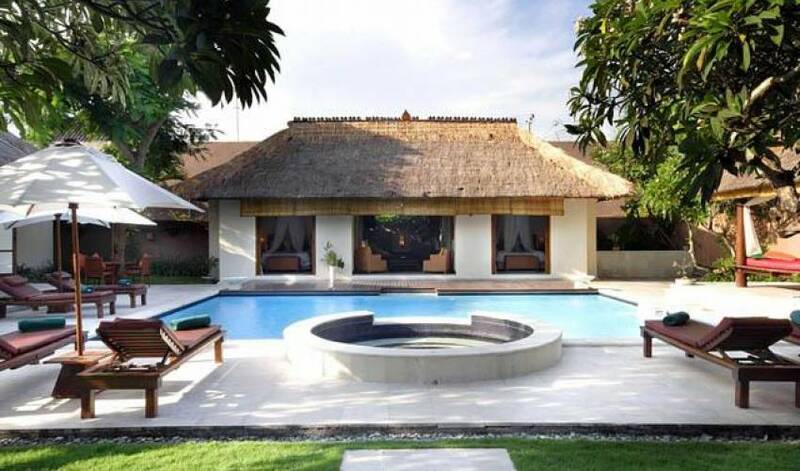 Each villa is a private retreat with a Balinese inspired decor and modern home comforts. The smaller villa categories are perfect for couples seeking private time alone. 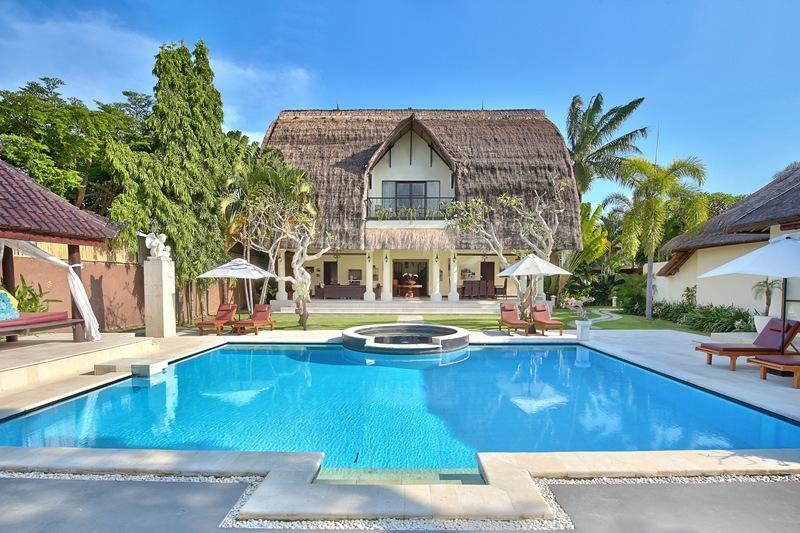 And the six bedroom villa is an affordable alternative to satisfy the needs of an extended family or group of friends wanting to stay together. 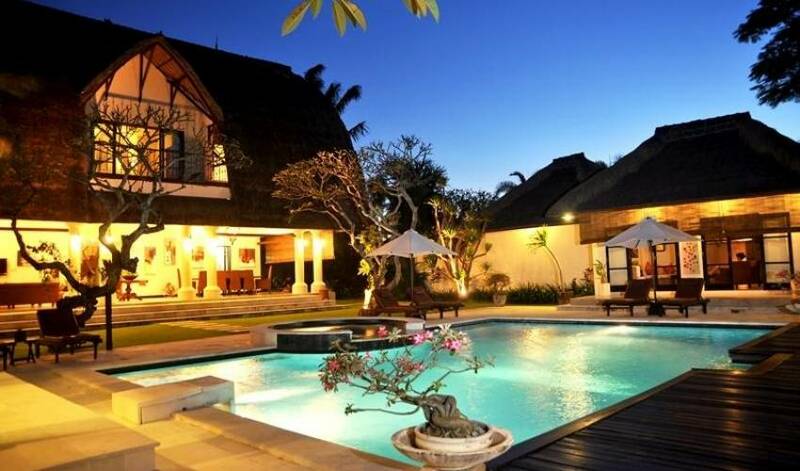 Villa 3342 is a strategically located base from which to enjoy the island of Bali and an extensive array of leisure-filed activities. 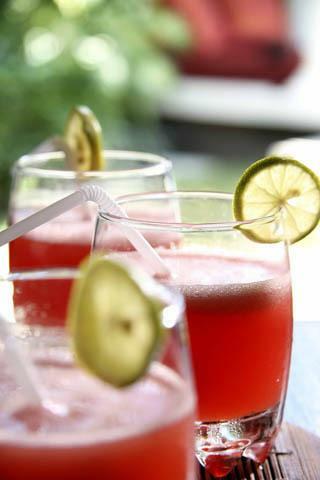 Villa 3342 is just minutes from Bali's favourite dining street Jl. 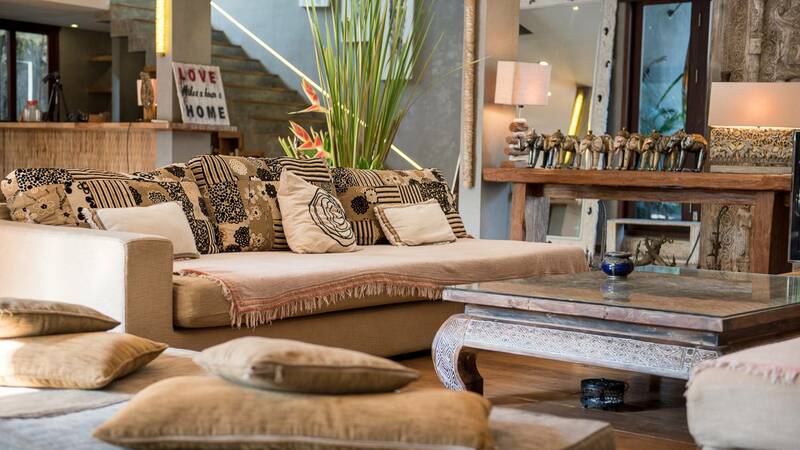 Laksmana in the lifestyle district of Seminyak. It is within walking distance to the beach and the trendy shopping outlets that the area is famous for. Villa 3342 features 12 distinctive villa compounds with a choice of one, two or six bedrooms. 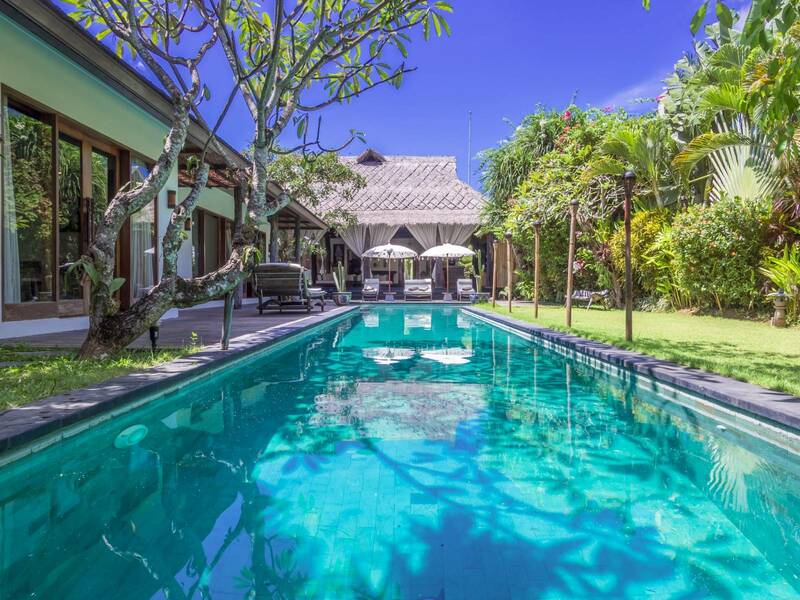 Each villa is a private retreat with a Balinese inspired decor and modern home comforts. The one bedroom villa is set within its own private walled garden complete with a refreshing lap-pool. It combines modern design with traditional Balinese accents to create a supremely comfortable retreat for couples or honeymooners celebrating the spirit of love. There is also an open-styled pavilion overlooking the pool that incorporates an elegant lounge, kitchen and dining area. The bedroom is an adult sanctuary featuring a romantic four-poster bed and a luxurious en-suite bathroom. 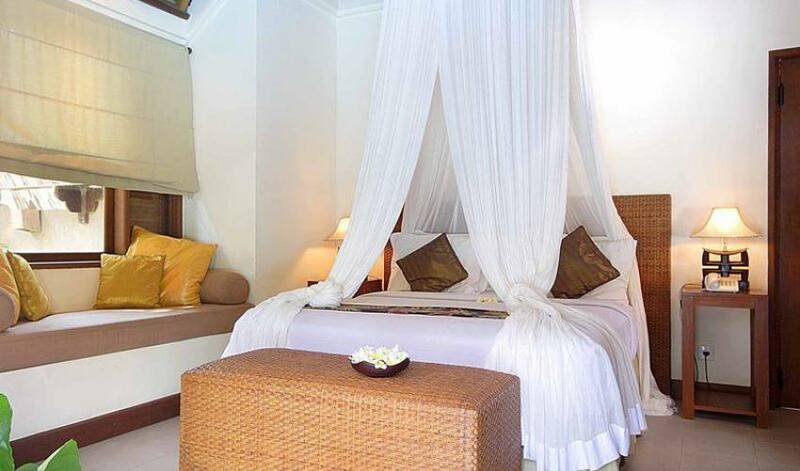 The spaciously appointed two bedroom villa is all about style and sophistication. Created to accommodate up to four adult guests without compromising personal comfort or privacy, this villa category truly embodies tropical living. It features a full-length swimming pool with ample space to soak up the sun as well as a shaded niche to escape the heat of the day. Quality family time can be spent in the open-style living pavilion while matching bedroom suites have been designed to provide restful slumber. 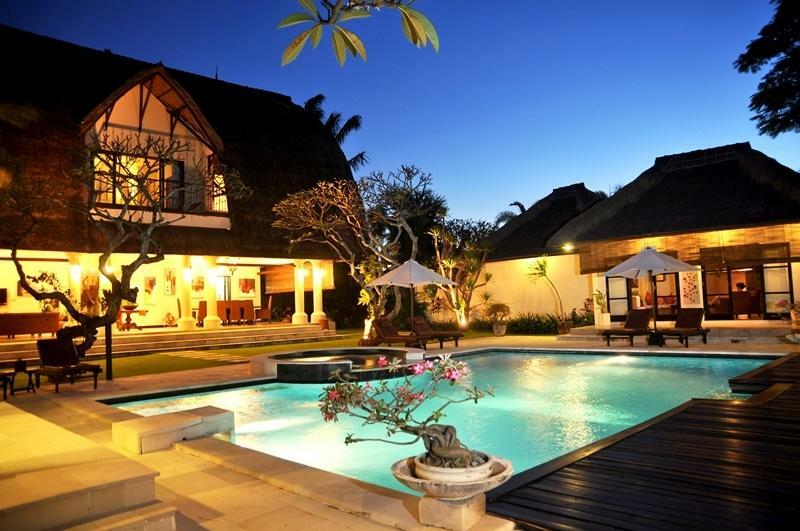 Designed to accommodate up to 12 adult guests, this villa category is the jewel in the accommodation crown. It is a charming tropical compound featuring three buildings centred by a generously sized swimming pool complete with a Jacuzzi. The main pavilion has a vaulted ceiling and incorporates two bedrooms, a well-equipped kitchen plus dining room. It is the perfect space for entertaining, which the property fully supports by providing extra staff and creative culinary services. The other two pavilions come with two tastefully appointed bedrooms and en-suite bathrooms for spa inspired bathing indulgence. Villa 3342 has an onsite spa facility dedicated to personal wellness with two double treatment rooms. It offers a nurturing menu of traditional body and beauty rituals including therapeutic massage therapies for optimal relaxation. Guests can take pleasure in their preferred choice of treatment in the air-conditioned comfort of the spa or in the privacy of their villa compound. All treatments are performed using naturally sourced products to nourish the skin all over. 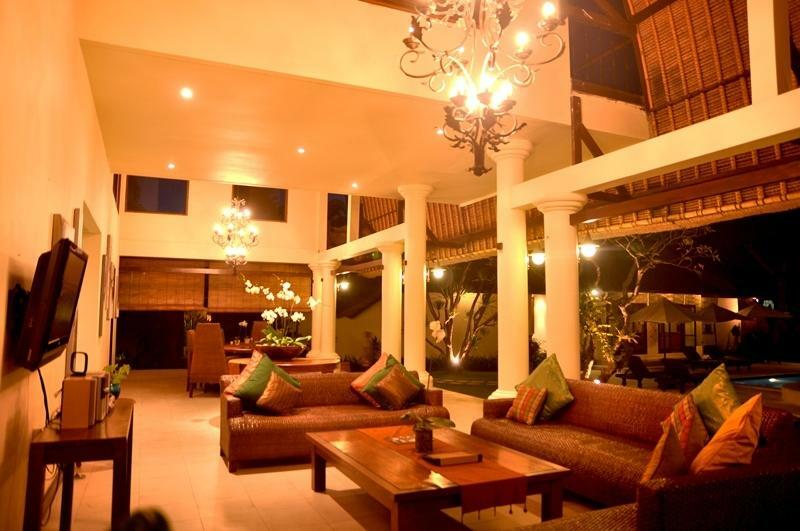 Villa 3342 is an intimate resort that also features a conference room for small business gatherings. Complimentary WiFi internet access is available throughout the property and each bedroom is equipped with satellite television and a DVD player. The culinary needs of in-house guests are taken care of from a central kitchen. Flavoursome meals, snacks and romantic three-course dinners are prepared in this facility and served in the comfort of each private villa. 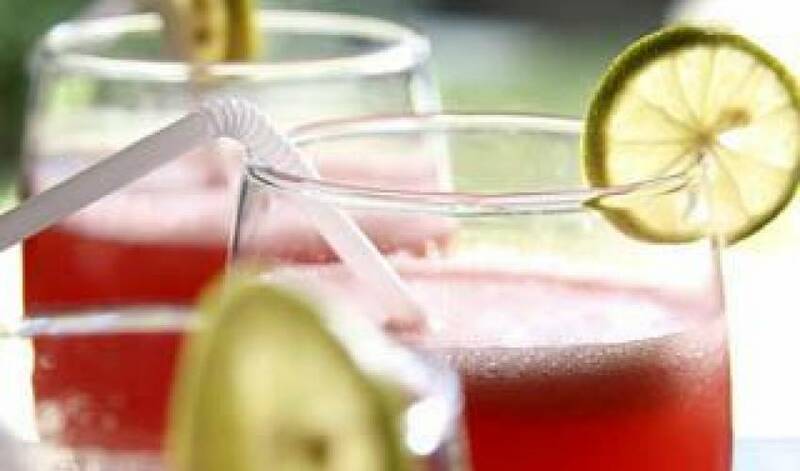 A complimentary drop-off shuttle service within the Seminyak area is also available for the benefit of all in-house guests. A team of service-orientated staff are always just a phone call away and eager to take care of any special needs as soon as they arise. 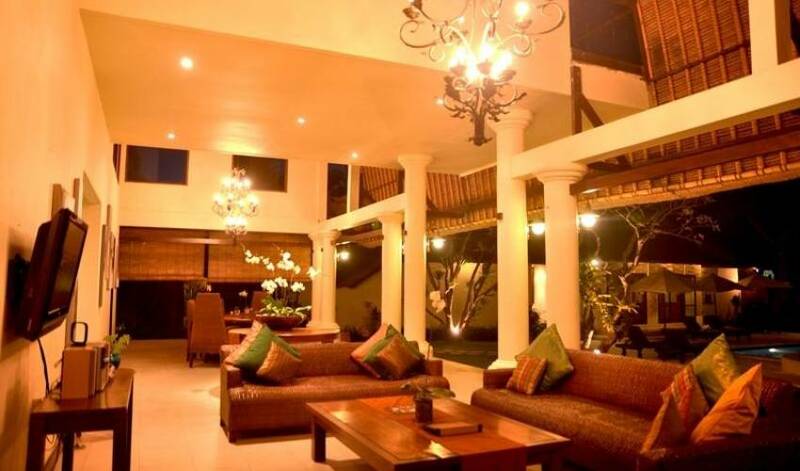 Villa3342 is just minutes from Bali's favourite dining street Jl. Laksmana in the lifestyle district of Seminyak. It is within walking distance to the beach and the trendy shopping outlets that the area is famous for. Removed from the hustle and bustle of mainstream tourism, Villa 3342 is bordered by rice terraces in a quiet Balinese neighbourhood. Ngurah Rai International Airport is only a 25 minute journey by car. Welcome drinks and cold towel upon arrival. Daily breakfast for 2 persons per room. *Rates are subject to a further 21% government and service tax per night.